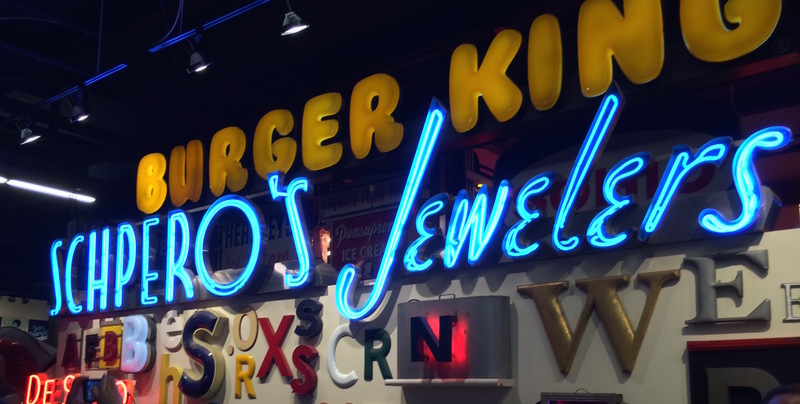 American Sign Museum – Go There. Try That. 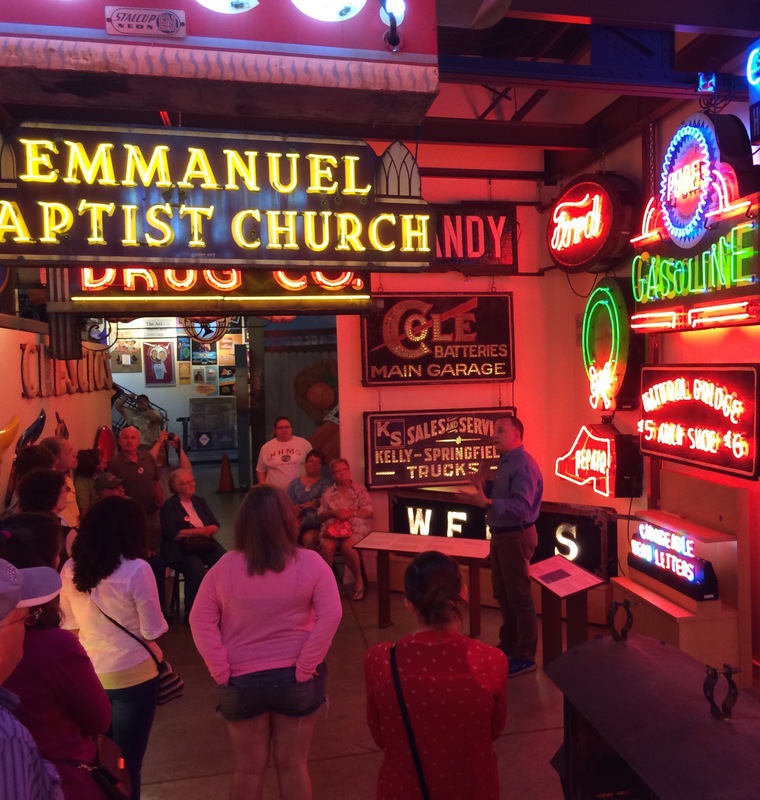 The American Sign Museum is a small, eclectic treasure located on Monmouth Avenue in an old warehouse in an industrial part of Cincinnati. My husband, the history buff, loves to dig into the history of, well, just about everything, and while I’m not quite into history as much as he is, I may have just emerged from a healthy dose of binge watching American Pickers. Thus, a perfect rainy day staycation find! This museum isn’t huge, but it is really interesting. I highly suggest taking the tour though because I guarantee I would not have gotten nearly as much out of the experience if I had just meandered through on my own. Our guide was incredibly knowledgable as he taught us about the history of signs (from wood, to backlights, to neon, and now digital) and how they reflect our history, culture, and technology. 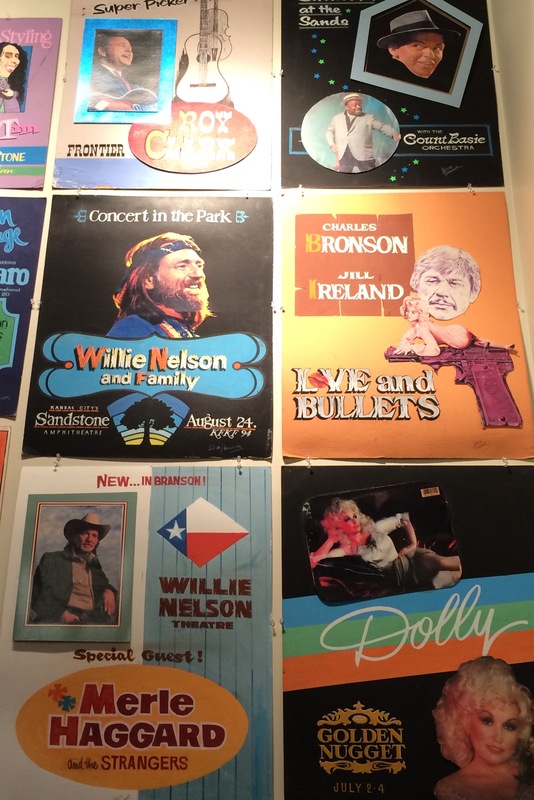 The museum also serves as a walk down memory lane. 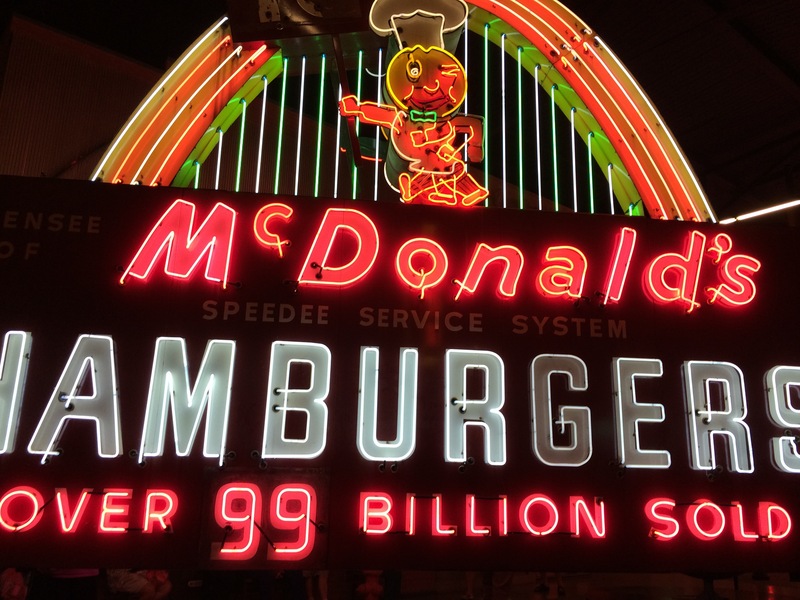 For me, it was fun seeing the old McDonalds and Big Boy signs that I remember as a kid and then learning why some of these characters were updated and changed. It’s also nice to know that in an age of new, someone is in the business of trying to salvage these old signs, these moments in history. Be sure to check out the tour schedule before arriving; there is no additional cost, and it really is an integral part of the experience. As a friend of mine recently said, you don’t have to leave town to be a tourist! There is so much to do in and around this city! 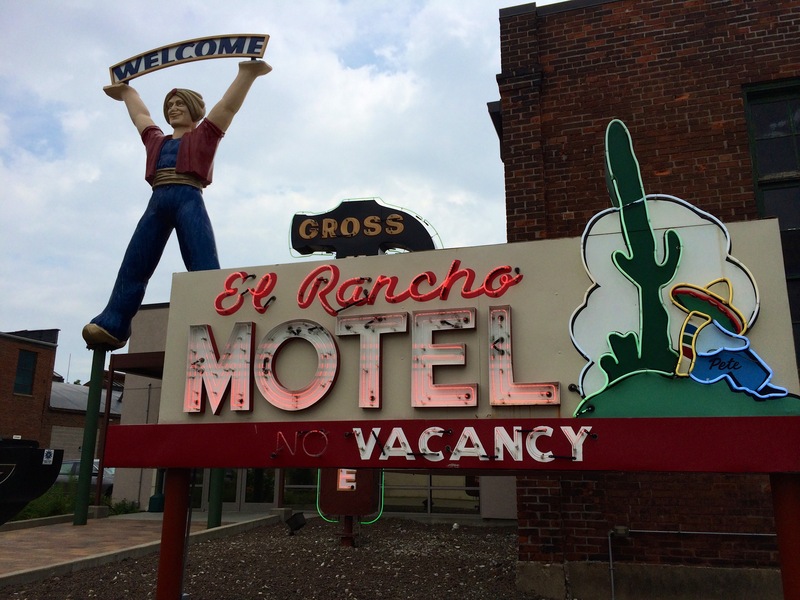 We love to plan staycations and this was a nice addition to one of our recent explorations! 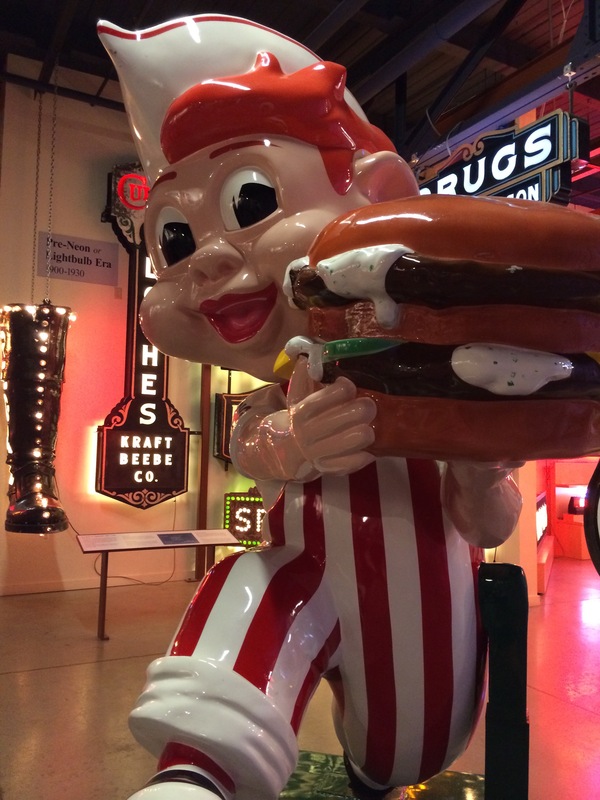 GO THERE (American Sign Museum)! TRY THAT (Guided Tour)!